In 2006 Rabbi Field began his career in education in Atlanta after completing Ner LeElef’s Kiruv Training program. In the first five years, he taught 2nd, 3rd, 5th, 6th, 7th, and 10th grades, as well as being involved in weekly adult education programs. In their first three years in Atlanta the Fields revived a minyan for young people which had been dwindling rapidly. Within that time span the membership increased from 10 to nearly 100. The minyan was eventually split into two minyanim because of its success. After five years in the classroom, the Fields were offered a position to start a new day school in Phoenix. At the time, the school had seven students enrolled in the kindergarten. Over the summer more than eighty additional students joined. The first day of school opened with ninety students and more than twenty members of staff. Numbers in the second year once again exceeded expectations with 140 students and ten additional staff members. The school is now in its third year, and the Torah Day School of Phoenix has more than 185 students with nearly fifty teachers! The upcoming school year already has an enrollment of well over 200 students and the Fields are enjoying the challenge of this exciting venture. The school boasts an established basketball team, art curriculum, and physical education program. They provide extra learning for boys on Thursday evenings, Shabbos mornings, and Sundays, as well as a boys’ choir. The girls have a Shabbos B’nos program, gymnastics, and a strong student council. The pride and joy of TDSP is the devoted faculty. The school’s mission is to create a warm and loving environment, and the staff has made this mission come to life. The resourcefulness and inspiration of the teachers has resulted in the development of a Middos program, which has been a tremendous success. In the school’s second year, it became accredited by a nationally acclaimed accreditation agency. Rabbi Efrem Goldberg of the Boca Raton Synagogue is a tireless innovator and advocate in the Orthodox Jewish community and a shining star within the Orthodox Union. In the five years that Rabbi Goldberg has headed the 600-family Orthodox shul he has taken on a number of positions in the synagogue and Jewish community and established a solid reputation within the Orthodox movement in America. His duties include supervising Jewish schools, the community eiruv, community mikvah and religious conversions. He is co-chair of the ORB Vaad Ha’Kashrut and serves on the boards of the Jewish Federation of South Palm Beach County, Community Kollel and Hillel Day School. Rabbi Goldberg is also treasurer of the Rabbinical Council of America and a mentor to young rabbis. He brought Orthodox Union programs on ethical living and parenting adolescents to the Boca Raton Synagogue as well as a weekend program promoting the OU vision and mission of a modern, Orthodox-Zionist community. He is proud of the small groups or chevrahs the synagogue has created for music, health and wellness, running, “Mommy and Me” and for other interests of its members. Rabbi Steven Weil, Orthodox Union executive vice president, was effusive in his praise of Goldberg. Rabbi Effie Goldberg was originally hired by NCSY, West Coast in order to bring more Torah content into their programs. He started by running 4 JSU, public school clubs, and learning with 5 yeshiva day school students. The year began with West Coast’s first ever Yeshiva Shabbaton, and with Rabbi Goldberg working closely with the local day schools to encourage the juniors and seniors to learn about their Israel options. He created educational and social activities for both day school and public school kids, e.g. ice skating, bowling, broomball, baseball, trips to ball games, etc. Twice a week he ran Latte-and-Learning in Beverly Hills and Santa Monica with 30 students in attendance and arranged weekly chavrusa study sessions ending his first year with over 120 students. His success was tangible – the local chapter saw 70 kids at the Friday night ‘onegs’ in his home. His hospitality at home and the many visits that he made to local schools helped him to connect with hundreds on a weekly basis. He taught an interesting array of subjects, such as: Shabbos with light halacha, kashrus, Shomer Nigia, Current Events eg Stem Cell Research and Halachic Ramifications, Five Levels of Pleasure, Moshiach, Tichias Hameisim etc. Then in 2005 Rabbi Goldberg assumed the position of Regional Director of NCSY. This involved managing 7 employees, running a regional shabbaton with over 400 teens, and managing a significant budget. In those 4 years he raised nearly 2.5 million dollars via regional campaigns and one-to-one solicitations, and expanded the total NCSY budget for his region from 1.1 to 1.8 million. He increased the professional staff by 50% and managed to direct this new manpower effectively by introducing techniques geared to helping each one succeed. For instance, he implemented weekly and monthly documentation to enhance professional quality control and skill development. In dealing with the youth he also introduced many new and innovative ideas, thereby increasing student attendance and activity by 130%. He published and disseminated “Blueprints” (10 commandments re-written for teens in magazine format) and also published and disseminated “Doing Jewish” (a JSU curriculum handed out to 500 Jewish youth professionals). In addition, Rabbi Goldberg has secured a functional and operative website with 1,000 unique hits monthly. He has also created an NCSY parenting track which includes yearly retreats. In 2009, Rabbi Goldberg became the Executive Director with a mission to make the West Coast the center of Teen outreach. In 2012, Rabbi Goldberg assumed the role of West Coast OU Development Liaison to the OU National office located in NY, and was charged to consult, train, fundraise, and raise community awareness for OU subdivisions including: IPA – Institute of Public Affairs, Yachad – addresses the needs of Jewish individuals with disabilities, JLIC – Jewish Leadership Institute on College Campus. West Coast NCSY currently operates 9 chapters throughout the West Coast with 54 JSU public and private school clubs and engages 4,000 Jewish teens each year. Rabbi Pinchas Hackenbroch arrived at the Newton Mearns Shul in Glasgow in 2003. The Hackenbrochs set to work and created a framework of regular shiurim on shabbos and weekends, and programs for youngsters, teenagers and adults. The adult education program attracted over 500 participants. Social and sporting events were organized as a means of drawing people in and making them feel comfortable as a preamble to experiencing authentic Jewish education. Barbecues, shabbatonim, and singles events for young Jewish adults on the brink of marrying out, were all part of the regular repertoire of events planned by the Hackenbrochs in order to encourage the local population to feel comfortable connecting with Yiddishkeit, which up till then had been a peripheral issue in their lives. In addition to speaking in the wider community, arranging cross-communal events and participating in interfaith events, Rabbi Hackenbroch also wrote a regular column, called “The Hackenblog” for “The Jewish Telegraph,” the local Jewish publication. In 2008, the Hackenbrochs moved to London, where Rabbi Hackenbroch became the Rabbi of Woodside Park Synagogue. His arrival saw the start of the ‘Bnei Mitzva’ program which is an extension of the current cheder. Children learn for their bar- or bat-mitzva, and the parents are encouraged to become involved simultaneously and are inspired to pursue their own Jewish education. The last Tikun Leil drew a record crowd of over 100! Singles events are also part of the regular fare offered by Woodside Park – a Chanuka candle lighting event attracted 350 singles. Apart from regularly lecturing in the local schools, Rabbi Hackenbroch now conducts a lot of his teaching through webinar, a web-based seminar, the key feature of which is the interactive element — the ability to give, receive and discuss information. It is by means of this form of education that people can now study Yiddishkeit from the comfort of their home or office. Today, Rabbi Kanner is the head of Aish HaTorah in Mexico City, but since his earliest youth he has enjoyed the role of a teacher. While studying in Aish HaTorah in Jerusalem, he took responsibility for Latin Americans who came to Yeshiva and eventually helped in the creation of the Aish Spanish program with Rabbi Nosson Weisz and Rabbi Tzvi Klor. He was a very popular speaker for Fellowships from Argentina, Chile, Venezuela, Mexico and Panama. After finishing his Masters program in Family Therapy and obtaining smicha he co-founded Aish HaTorah in Mexico City. Since the creation of Aish Mexico City he has taken the opportunity to connect to the whole Jewish community in Mexico. He is invited to all communities, schools, and public forums. He has over 400 people a week in more than 15 classes, serving many varieties of people and ages. He recently opened a Kolel to create future teachers and rabbis following the Ner LeElef model. Rabbi Katz and his wife, Rachel, started out in Madison, Wisconsin as part of the original JEM team of six families. For two years they played a significant role in building JEM into a nationally recognized outreach program by involving 100’s of students in Shabbos and learning programs and sending hundreds of students annually on Taglit-Bithright Israel and other Jewish identity trips to Israel. After two years they moved to Boston where they founded the Jewish PULSE of Boston (aka JPULSE) and began working full time on programming in 2009. In just over three years, JPULSE has grown into arguably the largest social and educational hub for Jewish young professionals in Greater Boston. JPULSE serves as both a launch pad to yeshivos and other Jewish identity programs in Israel and as landing pad for those returning from yeshivos. What started out as a mom and pop Shabbos destination has blossomed into a monthly Shabbos dinner with more than 100 in attendance, a weekly Fri night service, a plethora of weekly classes throughout Greater Boston, and an authentic Bais Medrash learning with a group that meets daily giving these career minded young professionals the opportunity to learn Torah, build skills and unlock their learning. The outreach center is conveniently located in the heart of the Shabbos observant community and has four residents (in their 20’s) who have become upstanding members of the overall religious community. It has earned the title “Shabbos Shack” giving many young professionals who wish to keep Shabbos, the opportunity to do so in a supportive and noninvasive home away from home. The nightly learning programs and Shabbos events all take place in the center drawing 100’s of young professionals into the heart of the religious community in Brookline/Brighton. Shimon Kay graduated from Ner LeElef in 2007. He was offered positions in Palo Alto, Boston and Philadelphia. He accepted a position with Meor as Founding Director of Temple and Drexel Universities. During the first five years at Temple, Rabbi Kay saw much success with his students, gathering large groups who became shomer Torah u’mitzvos. The Kays gained a reputation for marrying off their students and have been involved in over 20 marriages, including many who met through the Maimondes program. Many students settled in Israel and those who came back to America are active and engaged members of their respective frum communities in New York and New Jersey. Others have returned as married couples with their children to Philadelphia and joined the growing community of Lower Merion where the Kays live. After Yeshiva and seminary, the married “students” have integrated beautifully into their communities learning in the kollels and really becoming mainstream, well-adjusted Bnei Torah. The Kays are very proud of their 10 + grandchildren! In 2012, they moved over to Drexel University full-time in order to enable the Jewish college students there to have the same level of access to inspired and engaged Judaism as did those at Temple. Rabbi Kay became the chapter Rabbi of the Alpha Epsilon Pi fraternity. He was then given the highest honor for a campus Rabbi – he was inducted as an honorary brother! Rabbi Kay also teaches a Gemara shiur for baalei baatim each day with an organization called First Seder. He feels privileged to be in Philadelphia teaching Torah and inspiring college students to take a more active role in their Judaism. Rabbi Shlomo Landau began working for Torah Links (the outreach arm of the Lakewood Yeshivah) in the summer of 2000, and he was instrumental in founding Torah Links of Middlesex County located in East Brunswick, NJ. Torah Links of Middlesex County began with a few home-based study groups and has blossomed into a full service kiruv organization serving 400+ Jewish families in the area. From Sunday school to Hebrew High, from numerous daily classes to High Holiday programs, the organization works flat-out to create inspiring programs. The results speak for themselves. Thousands of Jews from all walks of life have been positively impacted by the uplifting and inspiring Judaism provided by Torah Links. In addition, countless individuals and families have found their way back to complete Torah observance, and Torah Links is proud to have graduates of its youth programs in top yeshivos and kollelim. Through Rabbi Landau’s tireless efforts, Torah Links is about to commence construction of the Torah Links of Middlesex County Community Learning Center; a 15,000 sq. foot beautiful state-of-the-art full service Kiruv center. Additionally, since the fall of 2002 Rabbi Landau has been a high school rebbi in various Modern Orthodox yeshivot. He is currently a beloved faculty member of the Ray Kushner Yeshiva High School (located in Livingston, NJ). For over a decade, Rabbi Landau has succeeded in inspiring hundreds of young men to investigate and appreciate Jewish living and learning. Rabbi Landau has built long lasting relationships with very many of his students – relationships that have lasted past graduation and continue to flourish today, when he is often called on to act as ‘mesader kiddushin’ at their weddings. Rabbi Raphael Landesman is a founder and the current Head of Shearim Torah High School for Girls, in Phoenix, Arizona. This is the first Orthodox Girls’ High School in the history of Arizona. Rabbi Landesman also currently serves as Rabbi of Congregation Ohr HaTorah in Phoenix, a position he has held since August of 2012. He originally arrived in Phoenix as one of the founding members of the Phoenix Community Kollel, and served as their Director of Education from 2006-2008. Rabbi Landesman restarted NCSY of Phoenix and served as Chapter Advisor from 2001-2007, sending a number of public school graduates to Yeshiva. He also founded the Jewish Student Union of Phoenix, which hosted Jewish identity clubs in several Phoenix area public high schools, and served as director from 2001-2005. In addition to this, Rabbi Landesman was an instructor for the Phoenix Bureau of Jewish Education’s Hebrew High program from 2000-2005, lecturing on topics ranging from relationships to Jewish history. Rabbi Landesman has authored a number of articles for the Jewish News of Phoenix and is a contributing writer to its weekly Torah Talk Parsha column. He also serves on the board of the Phoenix Jewish Tuition Organization. His wife, Cindy, is Director of Women’s Programming for the Phoenix Community Kollel, and is a licensed Speech-Language Pathologist working out of the Madison Elementary School District. Rabbi Matias Libedinsky and his family arrived in Chile in 2006 to start a Morasha Kollel. 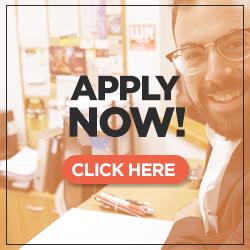 Due to the far-sighted vision, the professional approach and the hard work of all the avrechim, the kollel has succeeded in transforming the lives of the young university age students in Chile, allowing them to be part of a vibrant, steadily growing movement. About 25% of the 1,500 university-aged (19 to 25 year old) Jewish students in Chile have participated in the 4-hour or 10-hour per week learning program, transforming this into a very beautiful revolution. The kollel organized exciting trips to Israel, with 120 students participating in the kiruv trips and 100 going to Yeshiva or Midrasha for at least a month. In 2009, Prof. Robert Aumann, Nobel Laureate in Economy was brought out to Chile and Argentina where he made a huge impact in the general Jewish population. As an offshoot of this visit, contact was established with the University of Chile, one of the best universities in the country, and as a result, the kollel’s shiurim are now recognized as being suitable for the university’s program. Rabbi Libedinsky has been teaching a great deal about Torah, science, evolution and the theory of the Big-Bang and he has completed writing a book on this subject called, “El Gran Diseño y Dios.” The English translation of this book is currently underway, and it will be distributed by Feldheim. Due to the hard work of the kollel avreichim, young people in Chile are beginning to live a happy, energetic and deeply fulfilling authentic Judaism. Many couples have met in its programs, and Rabbi Libedinsky has been the mesader kiddushin at many religious weddings, all talmidim of the kollel. The Libedinskys were very excited and energized by the work done in Chile, and hope that Hash-m will continue blessing this progress so that the Chile kollel becomes a powerful center of Judaism, which will inspire other people to continue this trend. Seven months ago Rabbi Libedinsky was hired by the Torat Chaim shul, whose mission is to strengthen the more charedi sector of the population in Chile. Rabbi Libedinsky saw this move as a contributing factor to maintaining a strong kiruv component in the area. Mekarvim and baalei batim involved in Kiruv also need a protected environment where they can go and “recharge batteries” in order to maintain the inspiration that enables them to transmit that Ahavas HaTorah to others. They also have a Kollel where up to 10 avrechim and baalei batim participate daily, and these numbers are on the incline. They are developing a strong program of limud for the children. This program is held on Sunday mornings and during the some afternoons during the week. They have made syiumim in Mishnaiot and in perakim of the Talmud with the children (whose ages range from 6 to 12 years old). They also have a strong program of learning in the afternoon, with an average of 20 to 35 people each day in different learning groups and levels.